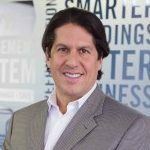 A serial entrepreneur, Greg Fasullo holds a Bachelor’s degree in electrical engineering from Lehigh University, a master’s degree in electrical engineering from UC Berkeley, and an Executive MBA from Southern Methodist University. Greg has been recognized for his success in building high-performance technology companies. Prior to running EnTouch Greg spent several years at what is today Eltek (formerly known as Valere Power) where he oversaw the production of power systems for wireless and broadband technology. Greg also served as Vice President and General Manager of General Electric’s Lineage Power.